If you would like to find out more about EMC KS3 Curriculum Plus, please get in touch by email. What does EMC Curriculum Plus Package 3 include? Three places on an EMC KS3 course. ** Further boxes of the EMC CurriculumPlus Card Collection can be bought for £60. Click on the tab 'Need additional texts' above. You can then add additional copies of the five pupil books and boxes of CurriculumPlus Cards, at the reduced price. 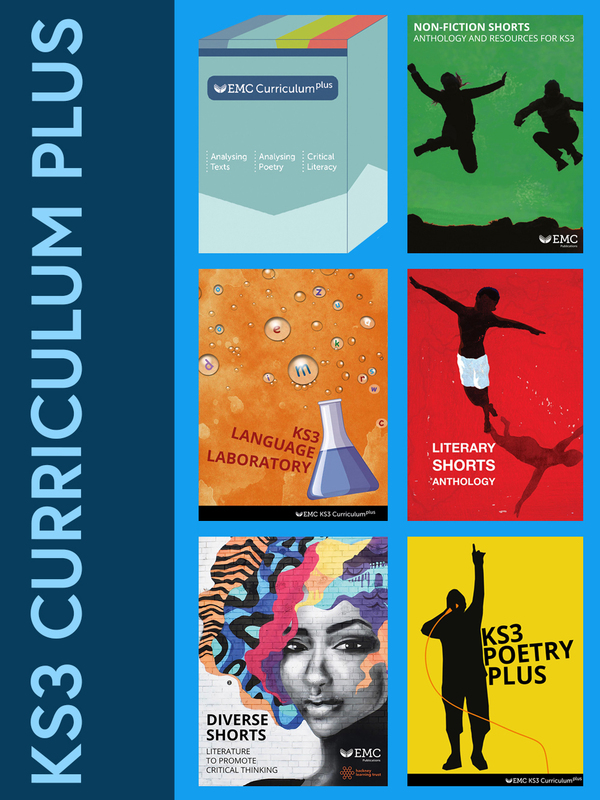 EMC KS3 Curriculum Plus Package 1 includes 30 copies of each of the five pupil texts, 1 copy of the Literary Shorts Teacher resource, 2 boxes of the EMC CurriculumPlus Cards plus 1 free place on EMC KS3 courses. The cost for this package is £1,390. 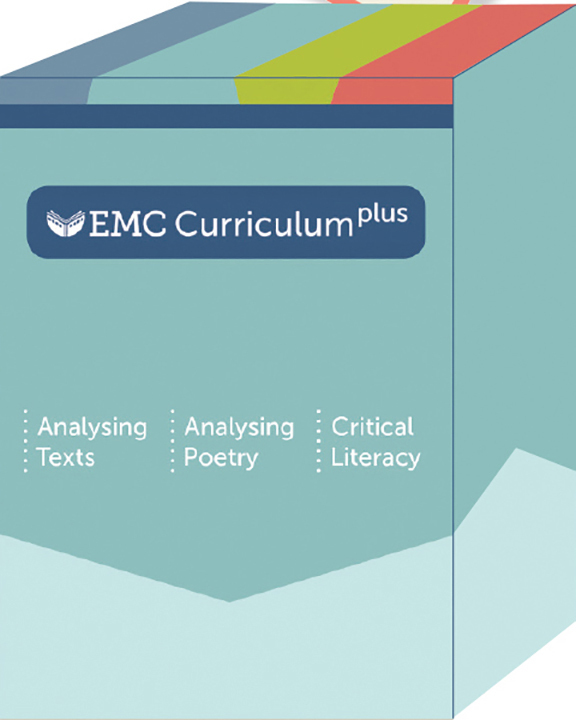 EMC KS3 Curriculum Plus Package 2 includes 100 copies of each of the five pupil texts, 3 copies of the Literary Shorts Teacher resource, 6 boxes of the EMC CurriculumPlus Cards plus 2 free places on EMC KS3 courses. The cost for this package is £3,450. Already bought your KS3 Curriculum Plus Package and Looking to Book Your Course Place? Package 1 includes three places on EMC KS3 courses of your choice. Please email with evidence of your order, the course you would like to book and the details of the teachers attending. If you simply want to find out more about this part of the package, please email with a phone number and a good time to ring you back. An overview of EMC KS3 CurriculumPlus. You can buy the following items separately at a discounted price. The EMC CurriculumPlus Card Collection box includes eight decks of three different sets of cards – enough for pupils to work in groups of three or four. Providing wide-ranging prompts to support discussion, analysis and writing about texts, these cards introduce pupils to some key ideas about the ways texts work – and the role they play in society. EMC CurriculumPlus Card Collection box is included in EMC KS3 CurriculumPlus. A pupil book with nine units of work for Years 7-9 organised around three key areas of the language curriculum: Literature and Language; Standard English; Vocabulary, Grammar and Punctuation. Each unit develops knowledge about language and how it works, encouraging exploration, reflection and metacognition. This is a much-needed intervention in the KS3 curriculum, ensuring a prominent place for rigorous language study that challenges pupils to be active, critical and creative in their own reading and writing. Develops pupils’ understanding of how language works. Adds critical and creative depth to the language knowledge students bring from KS2. Adds substance to the light-touch language requirements of the KS3 National Curriculum. Draws on real-life examples of language in use in literature and the wider world. Encourages understanding of the choices available in all language use. Close language study develops broader skills of reading and writing. Includes video interviews with well-known writers from fiction and journalism. 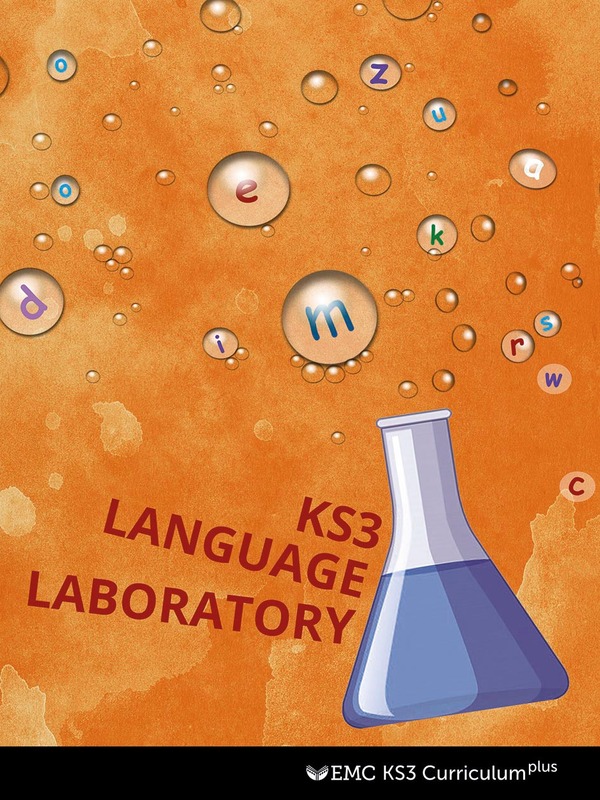 KS3 Language Laboratory is part of EMC KS3 Curriculum Plus. Encourages students to read with pleasure and confidence. Lively and memorable activities to promote debate and close reading. Use poems separately or teach a linked collection. Opportunities for both critical and creative writing. Chapters on where poetry comes from and what makes it special. 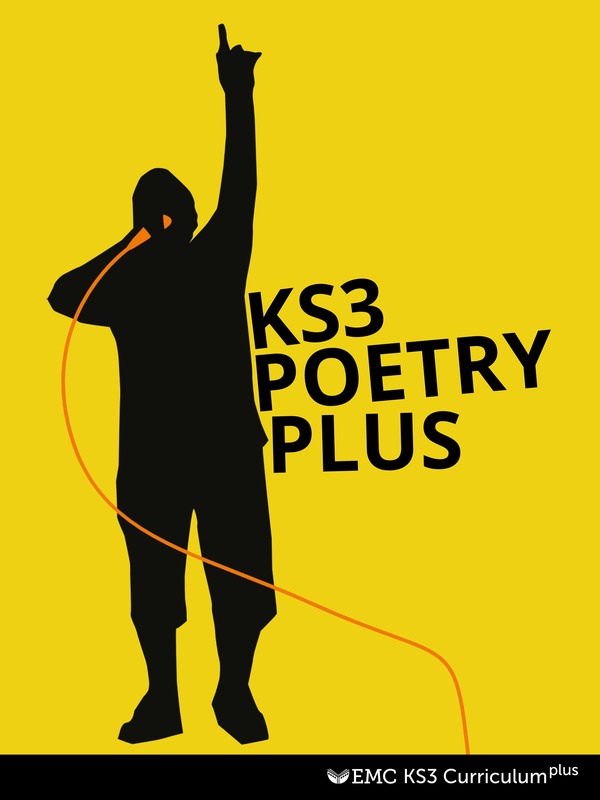 Poetry Plus for KS3 is also part of EMC KS3 Curriculum Plus. Includes nine specifically developed critical literacy cards:‘identity’, ‘freedom’, ‘tolerance, rights & respect’, ‘justice’, ‘diversity & community’, ‘democracy’, ‘equality & responsibility’, ‘change & action’, ‘power & control’. 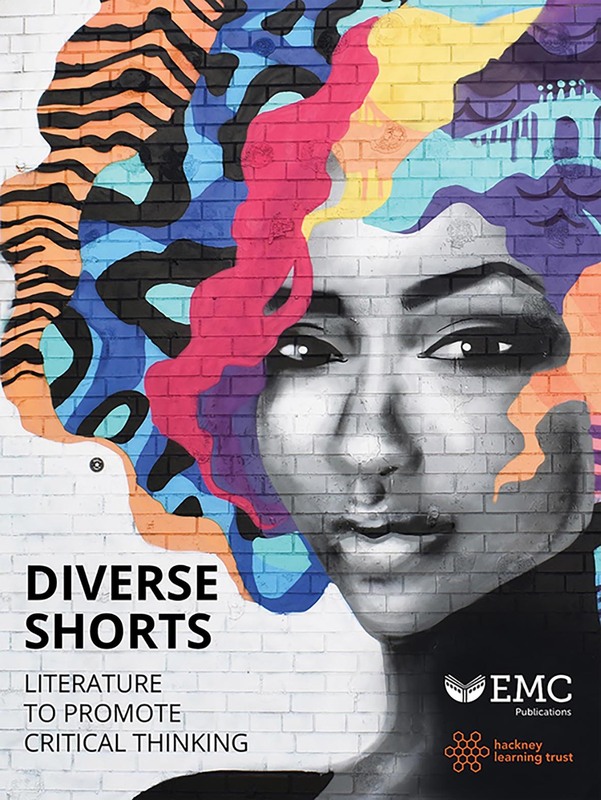 Diverse Shorts is included in EMC KS3 Curriculum Plus. A pupil book with a diverse range of non-fiction texts from the 19th, 20th and 21st centuries with activities designed to help pupils to develop the skills they will need for GCSE. From a look at what the latest research tells us about the sleeping teenage brain to hilarious advertisements for 19th-century quack cures, the texts have been carefully selected to appeal to this age group and to suit a range of abilities. Build pupils’ skills and stamina with a huge range of texts to amuse, inspire and provoke discussion. Activities on 19th-century texts are designed to build pupils’ knowledge and understanding of historical context. Use texts singly, or teach a collection of thematically linked extracts with comparison work. Activities include big picture and close reading activities, and encourage both personal and critical responses. Opportunities for a range of group, pair and individual work, as well as critical and creative writing. Non-fiction Shorts is included in EMC KS3 Curriculum Plus. 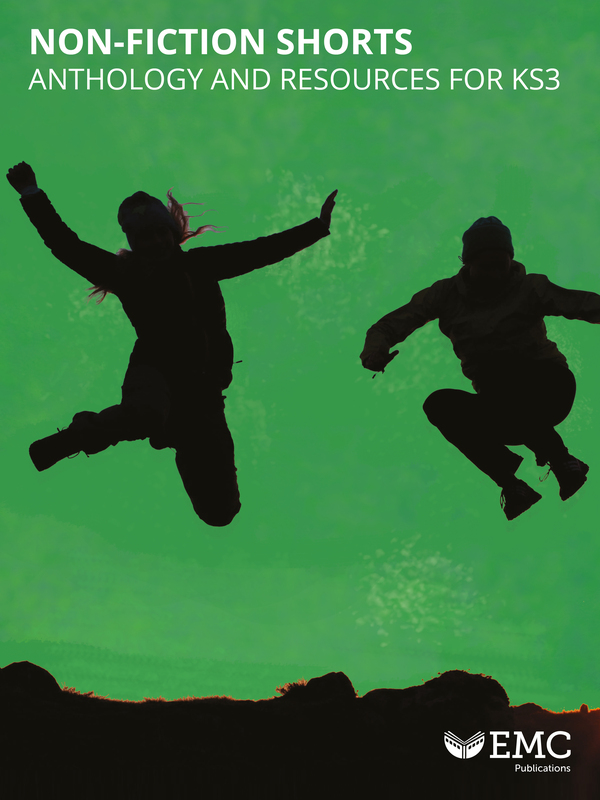 Literary Shorts: Pupil Anthology is a 160-page paperback, with 21 stories covering English literary heritage, seminal world literature and contemporary writers. Accompanies Literary Shorts: Creative, Critical and Comparative Approaches Teachers' Resource. Stories to challenge, entertain and inspire. Covers several areas of the new KS3 National Curriculum: seminal world literature, pre-1914 and contemporary English literature. Something for everyone, from Rudyard Kipling to Isabel Allende, Katherine Mansfield to John Updike, Roald Dahl to Alice Walker. Guy de Maupassant, Rudyard Kipling, Rabindranath Tagore, Saki, Katharine Mansfield, Thomas Hardy, Gabriel Garcia Marquez, Ngugi Wa Thiong’o, Yasar Kemal, Alice Walker, William Trevor, Jean Rhys, Roald Dahl, Isabel Allende, John Updike, Joe R. Lansdale, Geraldine McCaughrean, Jamila Gavin, Meg Rosoff, Barbara Bleiman, Kate DiCamillo. 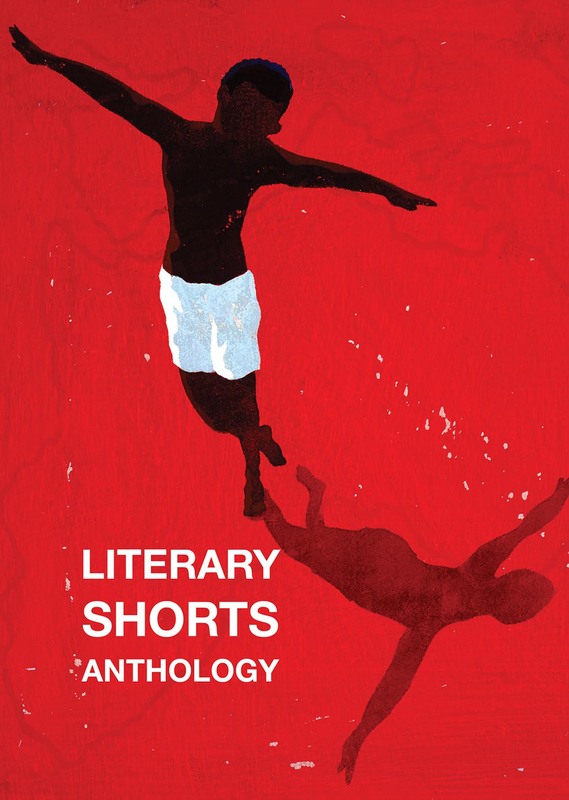 Literary Shorts Anthology is included in EMC KS3 Curriculum Plus.